The actions of official navies in the seventeenth-century Mediterranean are difficult to characterize. Historians often view official actions as different in kind from corsairing raids. That is a problematic approach, given the relationships among official navies, licensed corsairs and aggressive merchants. It would probably be more accurate to think of a continuum of behaviors that included piracy, privateering, state-sponsored corsairing, aggressive trade and naval rivalry. The lines between these activities were especially blurred in the seventeenth century, with individual European powers participating in a wide range of activities, depending on their changing interests. In 1612 the Dutch signed a capitulation with the Ottomans, gaining permission to trade with the Levant. They also dealt in coastal trade around the Mediterranean, in competition with the Italians. In 1620, in the early years of the Thirty Years War, an English squadron was sent to the Mediterranean to cut the links between Spain and Austria. England also sent a fleet against Algiers, trying to curb the activities of the corsairs, culminating in a treaty in 1622. By the 1630s fleets of sailing ships were common in the Mediterranean and figured in several confrontations between France and Spain during the Thirty Years War. Treaties in 1648 and 1659 ended large-scale hostilities and ratified the altered power relations among European powers. The Dutch officially gained their independence from Spain, which lost its dominant position to France on the continent. England, though still in turmoil from its civil war, made a bid for a greater international role during Cromwell’s Protectorate. In 1655 England sent fleets against both Tunis and Algiers, securing a renewal of her treaty with Algiers. In 1658 threats of force against Tripoli and Tunis led to treaties with those two powers as well. England officially became a Mediterranean power as the result of a marriage pact that Portugal arranged with the exiled Charles Stuart: if he were restored as King of England and married Catherine of Braganza, Portugal would give him a large dowry and the port of Tangiers. The agreement came to pass with the restoration of Charles Stuart as Charles II. During the long reign of Louis XIV (1643–1715) France actively expanded her maritime forces. From the 1650s on the so-called ‘maritime’ powers—Holland and England—also built large fleets to counter the French threat. The Mediterranean became one venue in an on-going struggle for seaborne dominance. European states adopted a battle-fleet strategy first on the high seas and then in the Mediterranean from the late 1680s. Until then, individual states continued to force the Barbary corsairs to sign truces, accept tribute payments and accept trade. Historians sometimes present this strategy as a war against the Barbary corsairs, designed to achieve a ‘peaceful infiltration’ of the Mediterranean through trade. It is better understood as a broad and often militarily based campaign to gain commercial advantages over rivals. The corsairing states were willing to accept forced truces, at least for a time, as long as the terms did not include all of their potential targets at once. The Ottoman sultans, likewise, accepted truces and tribute payments when it suited their interests, but did not renounce the traditional bases of their relations with the outside world: holy war (jihad), periodic attacks (ghawz) and the sponsorship of Muslim corsairing. Viewed by outsiders, their behavior was considered capricious and duplicitous and drove many northern Europeans into fits of self-righteous indignation. The most realistic (or the most cynical) among them recognized that they were all playing variations of the same game, even if they chose to define the rules differently. Venice had understood this for centuries, and continued to do what it could to preserve its trade, alternately making deals with the Ottomans and fighting them alone when necessary in intermittent warfare from 1644 to 1718. The 1670s and the early 1680s were punctuated by a series of small but dramatic confrontations in the Mediterranean. 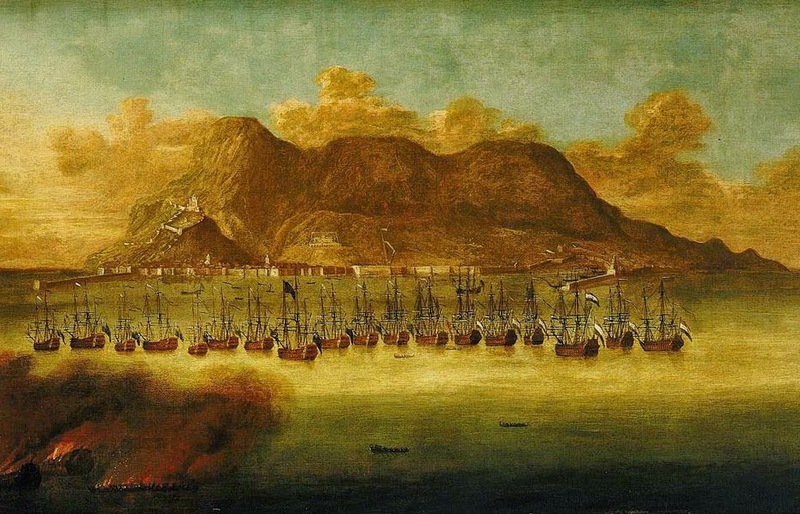 An English attack on Algiers in 1671 and a war in 1677–82 forced renewals of treaties and tribute payments; the same happened in Tripoli in 1676. The French were also inclined to use force and were able to dominate the western Mediterranean until the late 1680s from their base at Toulon. The Dutch lacked the firepower of their rivals and generally preferred to buy their way in, arranging treaties with all three North African powers in 1682. Only in the eighteenth and the nineteenth century would large battle fleets be able to restrict the depredations of the corsairs by force. Away from the Mediterranean, in the late seventeenth century, the Ottomans again tried to gain control of central Europe, mounting an all-out siege of Vienna in 1683. An international force led by King Jan Sobieski of Poland turned back the Turkish Army and, many have argued, finally ended the Ottoman thrust that had begun in 1453. In western Europe wars spawned by the territorial ambitions of Louis XIV shaped the remainder of the seventeenth century. In the War of the League of Augsburg in 1688–97 the actions of French naval forces finally convinced England of the value of a permanent Mediterranean base. With William of Orange as King of England after 1688, Dutch and English naval forces co-ordinated their efforts to thwart the ambitions of Louis XIV. In the War of the Spanish Succession (1701–13) most of Europe joined an alliance to block the accession of a French Bourbon to the throne of Spain. Although the alliance eventually gave up that goal, the English fleet captured Gibraltar in 1704, establishing a base for its future strategy in the Mediterranean. Although the Atlantic seaboard and beyond had become the focus of European struggles for dominance, the Mediterranean continued to be a venue for political, commercial and naval rivalry into the modern age.